Natural Extra Virgin Olive Oil is loaded with Vitamins A, B and E and antioxidants to surround each hair strand with protection from damaging free radicals. Instantly restores moisture to dry hair. Excellent for braids to keep them soft and shiny. Use on clean, dry hair. 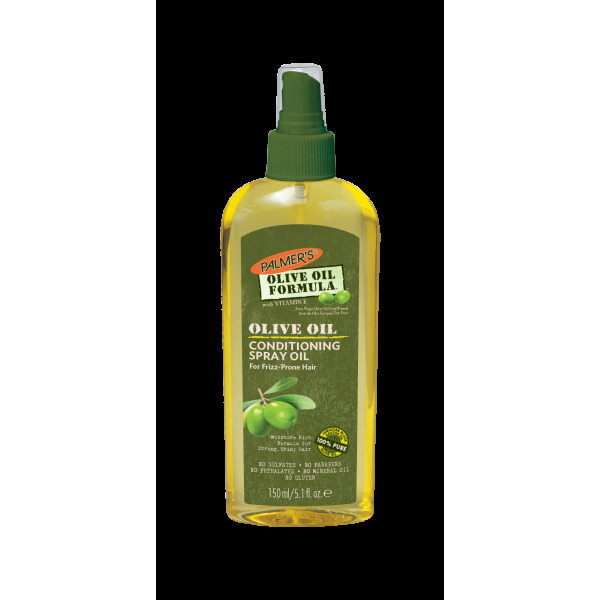 Pump a drop or two of Palmer's Olive Oil Formula Conditioning Spray Oil into palm. Apply lightly to scalp and hair as needed.